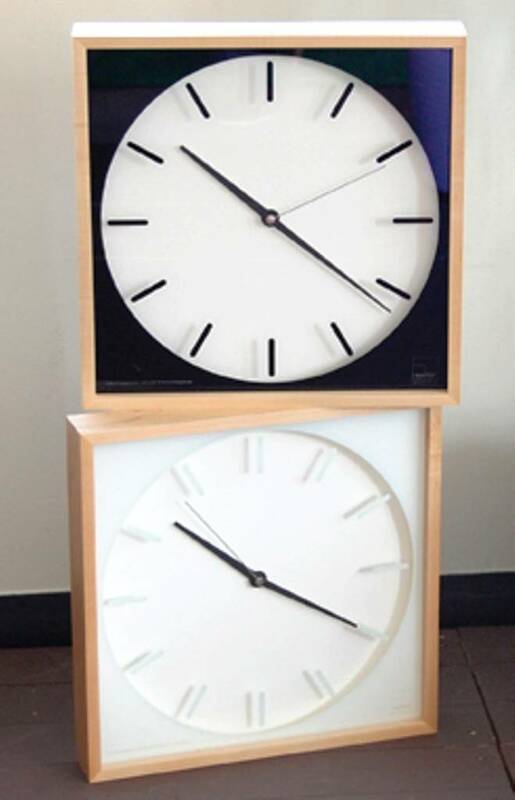 Square-shaped modern clock design by Morito Yoshi. Modern Japanese designs available in black. 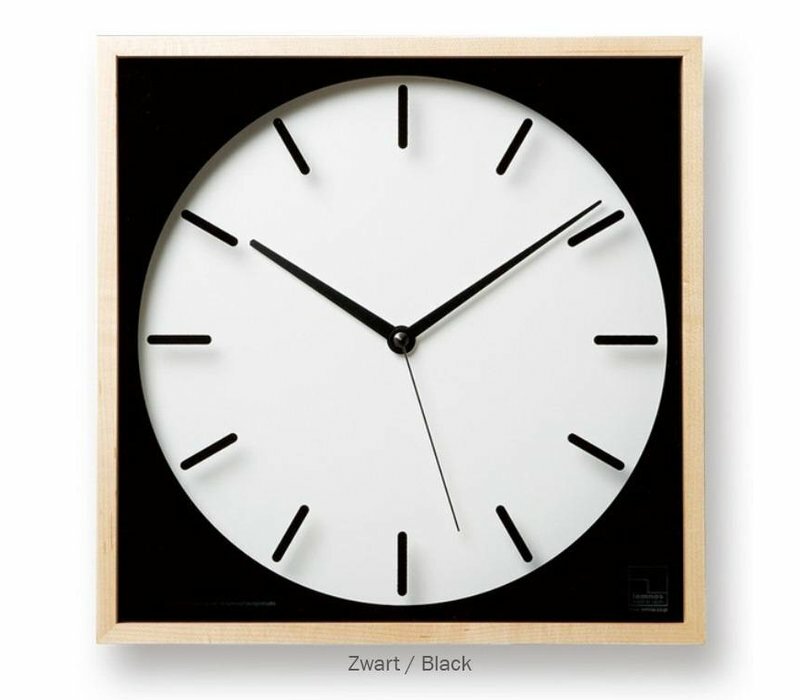 Cubicon, designed by Morito Yoshi, takes a more ‘logical’ approach to clock design with architectural thought - the circle within the square. 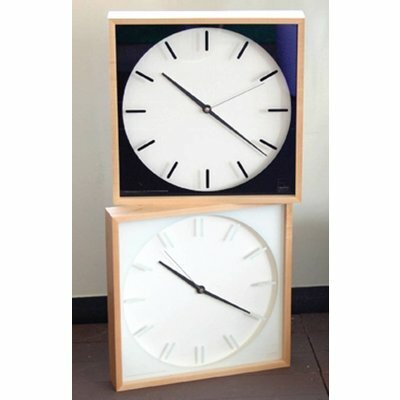 Using stark, contrasting color, and fine wood craftsmanship, Morito gives modern clock design a new, neat impression. The clock frame is re-purposed maple wood, with glass cover. 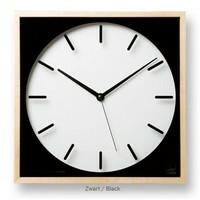 “Sweep movement” technology ensures that Cubicon keeps you on time, in perfect silence. You can show off your Cubicon clock by hanging it on the wall, or letting it stand. Available in black, gray, or white. Lemnos produces high-quality, modern and minimalistic clock design from Japanese designers. In 2004 Lemnos won the “Good Design” award, celebrating the talents of its collaboration of designers, like Morito Yoshi. Morito Yoshi, with just the right amount of architectural intention, designs minimalistic, yet aesthetically appealing Japanese clocks.